In this paper, almost sure synchronization is developed for a class of nonlinear complex stochastic networks with an adaptive feedback control. This class of networks are characterized under a general framework, including (1) a continuous time irreducible Markov chain which is introduced to describe the dynamical switching of the underlying network topological structure and (2) Lévy process which is used to reflect the stochastic noise resulted from the external random perturbation. 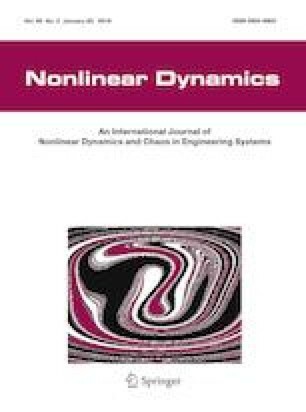 Different from the currently available literature which mainly focuses on the synchronization in mean, we study the conditions that ensure the almost sure synchronization of nonlinear complex networks. By introducing the convergence theorem of nonnegative semi-martingales as well as by making use of the general Itǒ integration for Lévy process, we show that network synchronization can be achieved with a full probability via our proposed adaptive feedback control. Simulations are presented to demonstrate the effectiveness of this new approach. This work was supported in part by the National Natural Science Foundation of China under Grants 11001179, in part by the State Scholarship Fund of China under Grants 201708440016, and in part by NSF-DMS 1419028 of the USA. The first author, Hailing Dong, would like to thank the hospitality from the Department of Mathematics, Southern Illinois University Carbondale, during her visit from July 2017–July 2018, and this work is conducted during the visit.